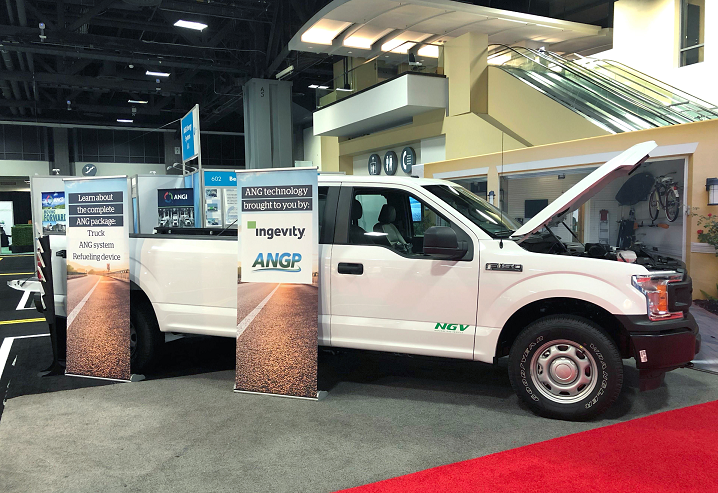 Southern California Gas Co. (SoCalGas) will fund a field demonstration of adsorbed natural gas (ANG) bi-fuel vehicles powered by natural gas compressing technology developed by Adsorbed Natural Gas Products, Inc. and Ingevity. ANG technology uses Ingevity’s unique Nuchar® activated carbon to reduce the storage pressure of natural gas without sacrificing the volume of natural gas stored through a process called adsorption. Using this type of fuel provides a cleaner and lower cost option for large, light-duty vehicles, such as SUVs, half-ton pickup trucks, and service vans, than diesel, gasoline, or traditional CNG. SoCalGas is providing funding for the project with research and development funds authorized by the California Public Utilities Commission and will also test and validate the ANGvehicles during a six-month demonstration period. Results from SoCalGas’ demonstration will support a commercial rollout of these vehicles to fleet operators in Southern California. ANG vehicles can be fueled at public-access CNG stations, as well as conveniently from home or work through a refueling compressor. They operate at significantly lower fueling pressure than standard CNG vehicles, refilling at 900 psi instead of 3600 psi. This reduces energy consumption by over 50% and decreases fueling time by over 60%. Additionally, these vehicles can travel long distances on ANG before seamlessly switching to gasoline.